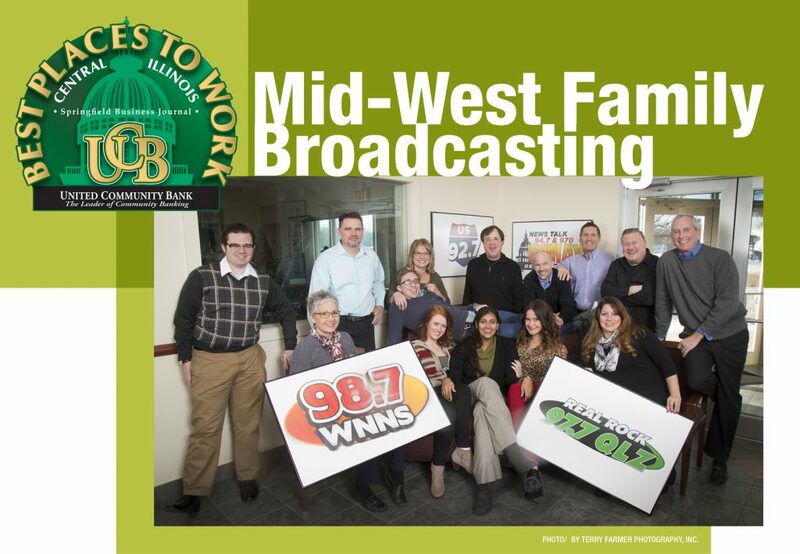 Midwest Family Broadcasting, self-described as the only independently owned and operated commercial broadcast group in Springfield, provides the area market with four radio stations, each with its own focus and audience: WMAY (news and talk), WNNS (classic rock and pop), 97.7 WQLZ (hard rock) and US92.7 (country hits). Mindy Melton, account executive, has only been working in sales for Midwest Family since May of 2017 but quickly found her niche. “The things that I love here are the laid-back atmosphere and the creativity,” she said. 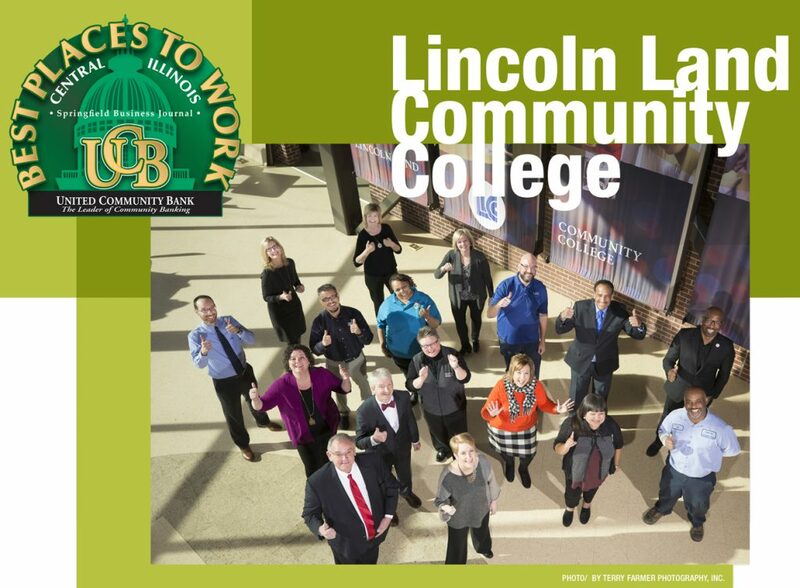 “When you’re in a sales position, sometimes you can have a rough day – they can beat you up – but then you come down the hallway and everybody smiles and high-fives each other and that always lifts you up and makes you feel really appreciated.” Melton said that Midwest Family lets her be herself, which in turn makes her more productive. “One of the things that I’ve heard people say here is that there’s a hundred ways up a hill – as long as you get up the hill, do it your way.” Unlike many sales jobs, Midwest pays its salespeople a salary plus commission, rather than commission only, which Melton says takes a considerable amount of pressure off. 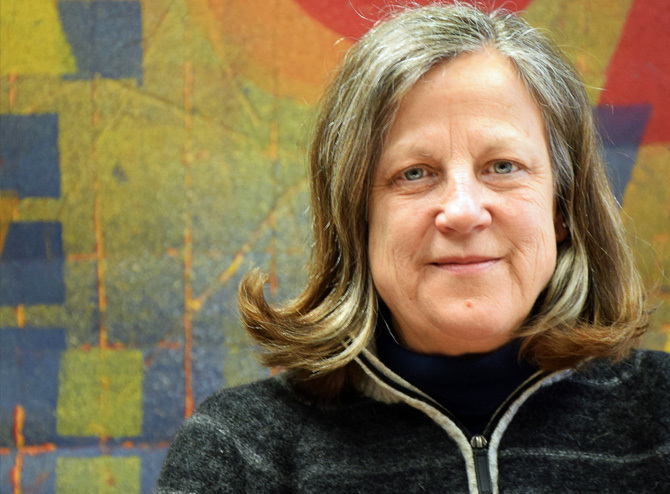 Cindy Davis, president and CEO of Resource One, founded the office furniture dealership in 1987. “I’ve always loved this industry of furniture,” she said. “When we started, we were determined to provide this market with something different. Where I had been working we were just selling the same things over and over, cookie-cutter stuff.” Instead, Resource One has put its energy into innovation, although they also offer more basic, old-school furniture for customers who want it. “We tried to create an environment from the get-go that is very open. We share our numbers in a weekly meeting and the people who work here know exactly where we stand,” she said. 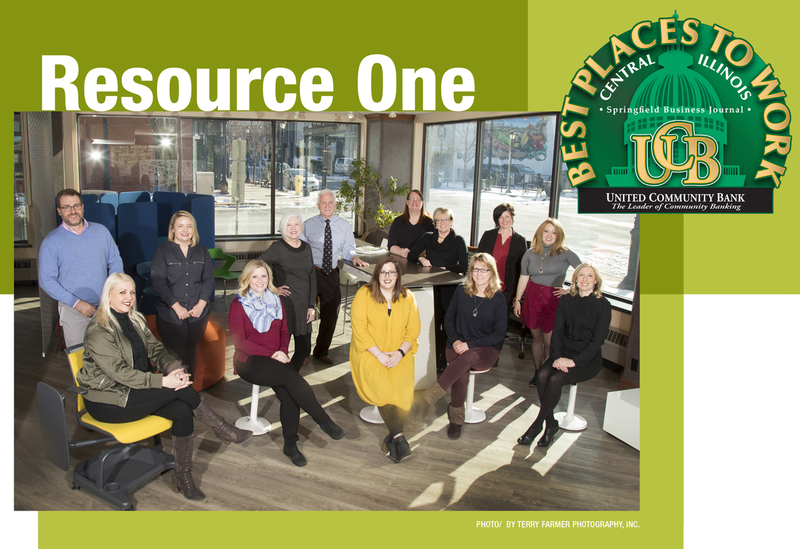 It is common for businesses to describe their staff as “like family,” but in the case of Resource One, it is not merely an analogy. Cindy’s son, Chris Davis, has been an account manager for the company for almost five years. “I grew up around Resource One,” he said. “As a teenager I was in and out of trucks and dumpsters doing furniture installs, mostly in the role of cardboard jockey.” Davis returned to Springfield to work at his mother’s company after about a decade of living in Chicago. “The company was always there and calling me – and my mom was literally calling to see if I wanted to join the business. One day it just clicked,” he said. 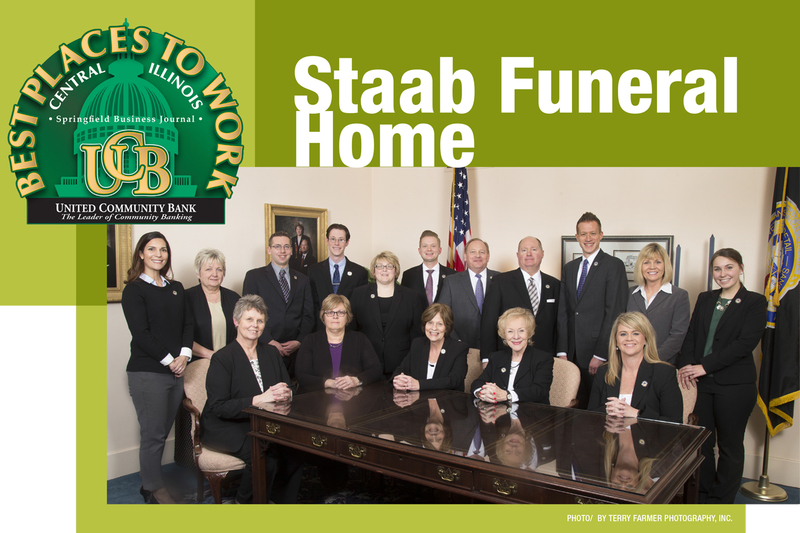 Staab Funeral Homes, established in 1937, is one of Springfield’s most reliable and venerable institutions. Standing as a bulwark against the encroaching corporatization which has befallen the funeral industry as a whole, three generations of the Staab family have remained dedicated to providing personal service to families during their hardest moments, while providing a stable and supportive environment for their small staff of non-family employees. For Brown, one of the best things about working for the Staabs is that they encourage his musical endeavors. “Teamwork is a very big part of things here and things can get very hectic – we can have five funerals in a day and two or three visitations that night and it’s kind of go-go-go. It’s not uncommon to work a 60- or 70-hour week. But we also all have our own personal lives outside of business so we try to help each other out and cover for each other,” he said. 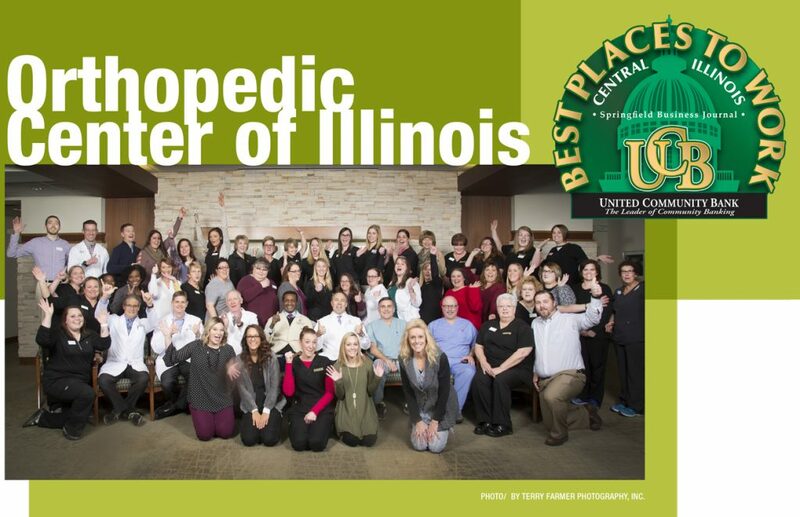 Originally formed in 1972, the Orthopedic Center of Illinois is providing what its website describes as “superior orthopedic care to residents throughout central Illinois and offering a full continuum of services including joint replacement, minimally invasive techniques, physical therapy and imaging.” OCI has been at its 1301 S. Koke Mill Rd. location in Springfield for 10 years. “My experience here has been absolutely amazing,” said Brian Kiel, director of therapy for Midwest Rehabilitation at OCI since this past May. “For one thing, the building has a ton of natural light so everything really shines all day long. I think the natural light pulls people’s inner morale up.” Kiel also said he found working with the OCI physicians to be an inspiration. “I haven’t heard a bad story from a patient at this organization – everybody seems to be very happy, very well cared for.” As for his coworkers, “it’s a tight-knit group, everybody knows each other fairly well and everybody seems to get along fairly well. There is not the politics which sometimes can plague our health care community. I don’t look at coming to work every day like a job, I see it more as a lifestyle. These are relationships that are built and fostered all day, every day, and it’s a pleasure to be able to come here,” he said. Dr. Ronald Romanelli, M.D., is a specialist in joint reconstruction and has been practicing in Springfield over 25 years. “We have a contained environment here,” he said of the Orthopedic Center, “meaning that everything the patients need is all underneath our roof – we don’t have to send patients to the hospital or anywhere else, we have everything here.” Romanelli also touted OCI’s walk-in injury and fracture center. “That gives our patients one-stop shopping,” he said.